Smollett plays the gay character Jamal Lyon on the hit Fox TV show that follows a black family navigating the ups and downs of the recording industry. Do you agree with the decision to drop the charges against Smollett? Smollett claimed they shouted, “This is MAGA country” — a reference to President Donald Trump’s “Make America Great Again” campaign slogan. Police said Smollett hired two men, both of whom are black, to attack him. Smollett paid the men $3,500, according to police. An attorney for the brothers said they agreed to help Smollett because of their friendship with him and the sense that he was helping their careers. 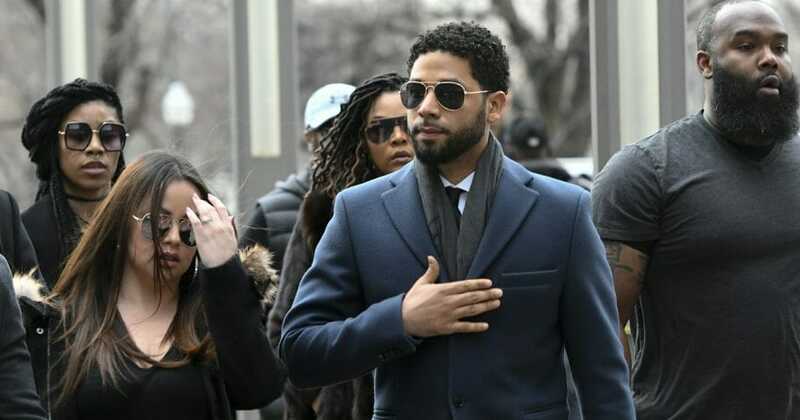 “Today, all criminal charges against Jussie Smollett were dropped and his record has been wiped clean of the filing of this tragic complaint against him,” spokeswoman Anne Kavanaugh said in an email, according to WBBM. “Jussie was attacked by two people he was unable to identify on January 29th. He was a victim who was vilified and made to appear as a perpetrator as a result of false and inappropriate remarks made to the public causing an inappropriate rush to judgement.